The vast majority of people will be unaffected by any tornadoes that may occur late this afternoon or tonight. 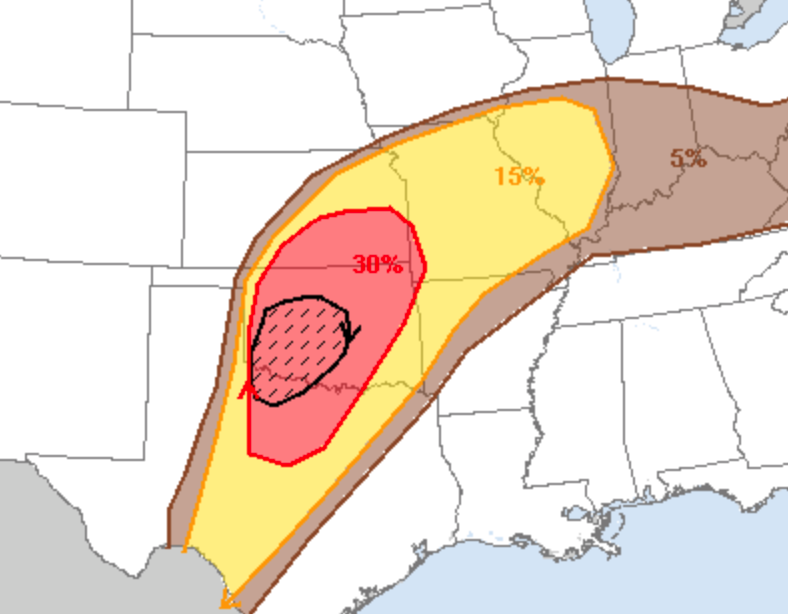 That said, there is a significant risk tomorrow, also. Here, the significant threshold is 15%. Hatched means very large hail or strong tornadoes are possible. So, if you take my advice about putting heirlooms in shelter and filling your fuel tank, you'll be in great shape for any threat that may materialize Friday or Friday night.